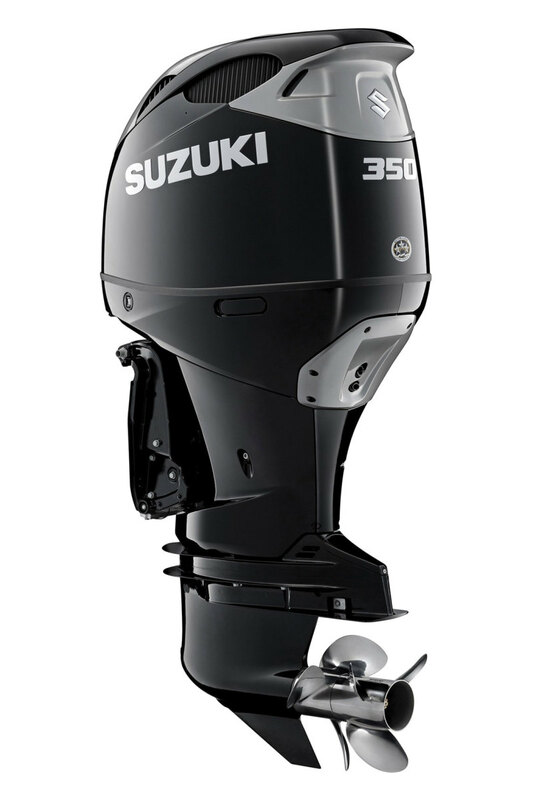 Suzuki Marine has introduced its biggest outboard — the 350-hp DF350A 4-stroke. 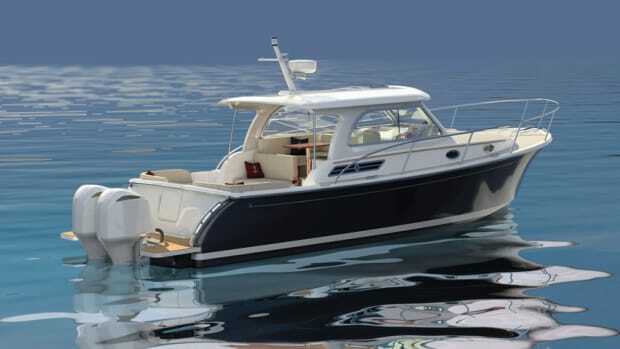 The engine has a V-6 powerhead, a high-performance 12-to-1 compression ratio and “contra-rotating” dual props, among other features. 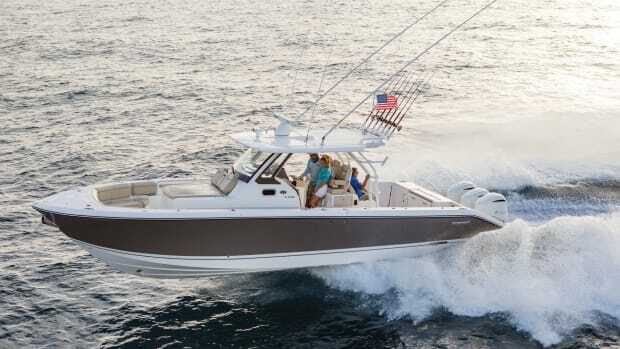 The compression ratio is the highest ever utilized in an outboard, according to Suzuki, producing 80 horses per liter. A direct intake system with a dual-louver setup diverts microscopic water molecules away from the intake flow. 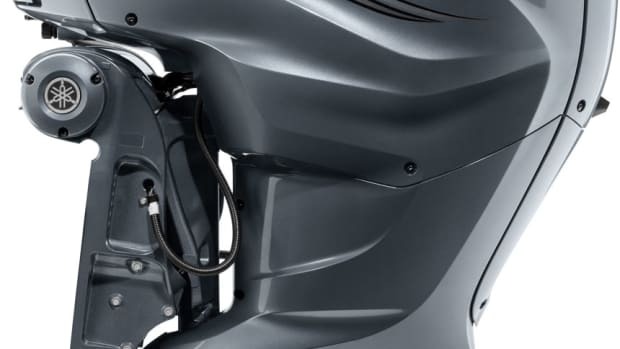 Dual fuel injectors in each cylinder head help boost output. 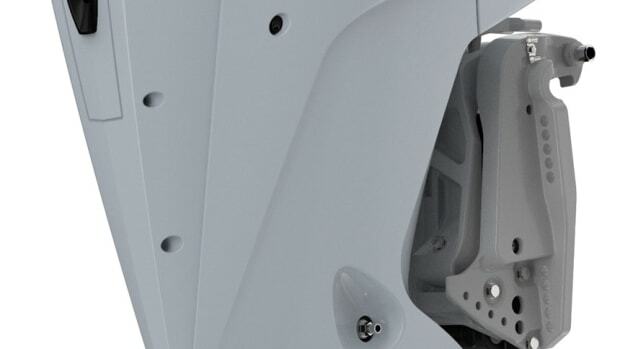 The counter-rotating props have twice the blade area and provide more “grip” in the water, which increases hole shot performance and reduces time to plane, according to Suzuki. The setup also takes advantage of the powerhead’s increased torque. 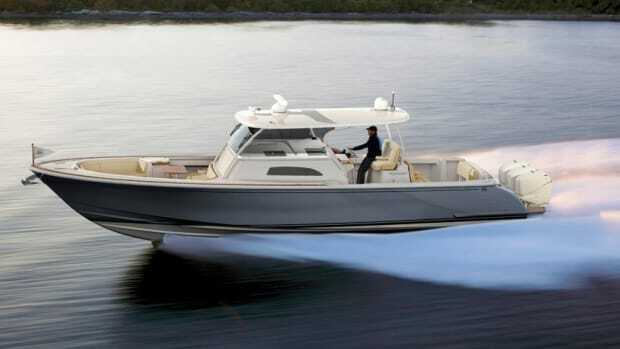 Mercury Marine added three V-6 outboards to its FourStroke series at this year’s Miami International Boat Show.